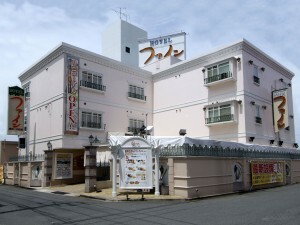 Hotel Fine Biwako I is a 10-minute drive from Katata Station. This adults-only hotel features massage services, a 24-hour front desk and rooms with a flat-screen TV. Free Wi-Fi is available at the entire property and free parking is provided. Hotel Fine Biwako I is a 6-minute walk from Sagawa Museum and a 15-minute drive from Mangetsuji-Ukimido. Modern rooms come with neutral colour tones and warm lighting. Each room has a DVD player and an attached bathroom with a bathtub. Toiletries and slippers are included. Rooms have various TV channels and all rooms allow smoking. For convenience, the hotel provides luggage storage facilities and suit pressing services. There is also a drinks vending machine on site. The largest Japanese lake, Biwa-ko. Enryaku-ji Temple, the World Cultural Heritage, and national treasures are on the lakeshore. The prefecture of Shiga is in the middle of Japan; Lake Biwa, the largest lake in Japan, lies at its center. It is surrounded by Mt. Ibuki to the northeast, the Suzuka Mountain Range to the east, Mt. Hira-san and Mt. Hiei-zan to the west, and the Shigaraki Mountains lie to the south. 1.Take JR Railway Kosei line from Kyoto station to Katata station. It takes 25minutes approx and the fare is 410JPY. 2. Take taxi from Katata station to our hotel. ■Fare information is announced on December 2015. Please check the latest information at online on your own. It takes 90minutes approx and the fare is 2,550JPY. It takes 60minutes approx and the fare is 1,310JPY.